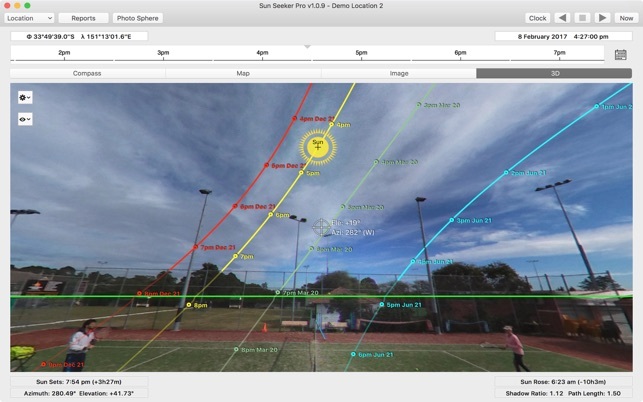 Projects solar path, solar energy, sunlight exposure and other solar related information onto user-supplied Photo Sphere (spherical photo) images, with a zoom/pan 3D viewer, as well as onto other overhead images such as site plans or architectural schemas. 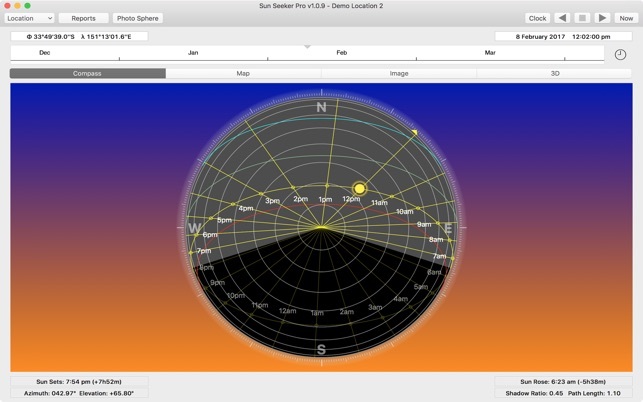 It also provides tools to visualize and analyze the solar path for any given date or throughout the whole year, for any location on earth. 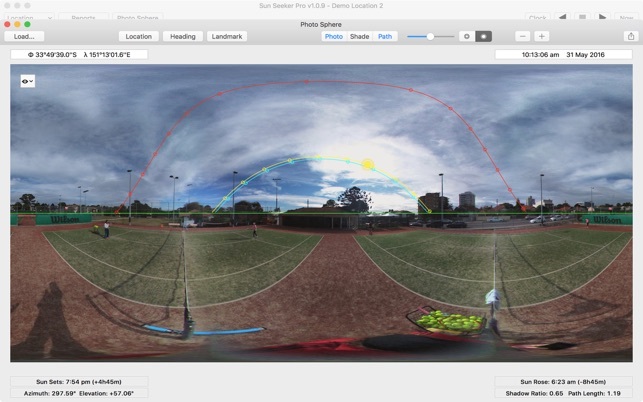 Note - A Photo Sphere for your own site or location can be generated via the free "Street View" app or with your own 360 camera. You can also use the app without a Photo Sphere or overhead image, simply by searching or browsing for any address or map location. 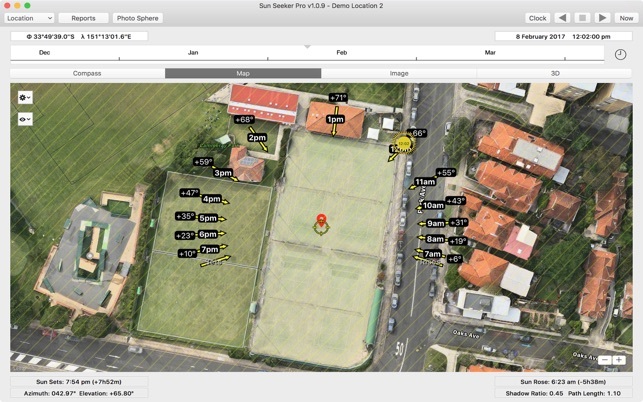 However, the most powerful features of the app (especially when using shade data) rely on having a Photo Sphere or overhead image or site plan for the location in question. The closely-related iOS app "Sun Seeker" has already been featured in numerous high-profile blogs, websites, and publications, including Wall Street Journal, Washington Post, Sydney Morning Herald etc. "Truly amazing", "Incredible", "Brilliant" - the most genuinely useful application of augmented reality - ever! So happy to finally have a Mac App rather than an iOS app. Much more convenient to use. This app works great! Well worth the money.